Have a terrific, holiday weekend. Want to see the remaining four mini-episodes of the 5-part spin-off “Pond Life” (written by Chris Chibnall), the episodes leading up to the season premiere of Doctor Who tomorrow (September 1) night on BBC America? Enjoy! And make sure you watch the season premiere tomorrow. What did you watch last week? Please share. The holiday marathons are coming, the holiday marathons are coming. Want to know about some of the cool marathons that are being planned for the upcoming Labor Day weekend? Well, here is a short list of the scripted TV and/or movies that will be airing as marathons over the soon-to-be-here holiday weekend. 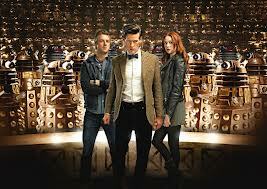 Doctor Who will air the “Best of the Doctor” marathon on BBC America from 8 AM on Friday through to Saturday at 10 PM, concluding with the season premiere of season 7 of the classic series. Buffy the Vampire Slayer will be on Chiller from late Sunday at midnight through Tuesday at 6 AM featuring Sarah Michelle Gellar’s favorite episodes. Longmire will air most of the episodes from its debut season on A&E from 10 AM to 5 PM on Sunday. The Style Network will air episodes from the first season of Gossip Girl from 9 AM to 3 AM on Labor Day. Relive all of Torchwood: Miracle Day on Labor Day from 10 AM to 8 PM on Starz in Black. HBO Signature will reair all of season 2 of Boardwalk Empire from 12 Noon to 12 Midnight on Labor Day. The mini-series Hatfields and McCoys will air in its entirety on A&E starting on Saturday at 6 PM through 12 midnight. Are you a fan of the Lifetime dramedy Drop Dead Diva? Do you enjoy the music that is featured in the show? 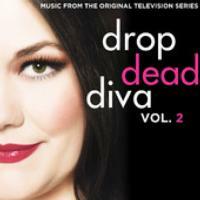 Well, you are in luck as “Drop Dead Diva: Music from the Original Television Series, Volume 2” will be released on September 4 exclusively on iTunes. Fans of Drop Dead Diva should also be prepared for the fourth season finale that will air on Lifetime on Sunday, September 9 at 9 PM.